It’s a busy week for racing in Illinois and not many drivers will be busier than 2015 Chili Bowl Champion, Rico Abreu. Abreu’s week of action will include four tracks in five days, with a stop at Macon (IL) Speedway scheduled for Saturday, June 6. Abreu’s driving duties will begin on Wednesday night at Kokomo Speedway behind the wheel of a 410 Sprint Car in the World of Outlaws Tour. 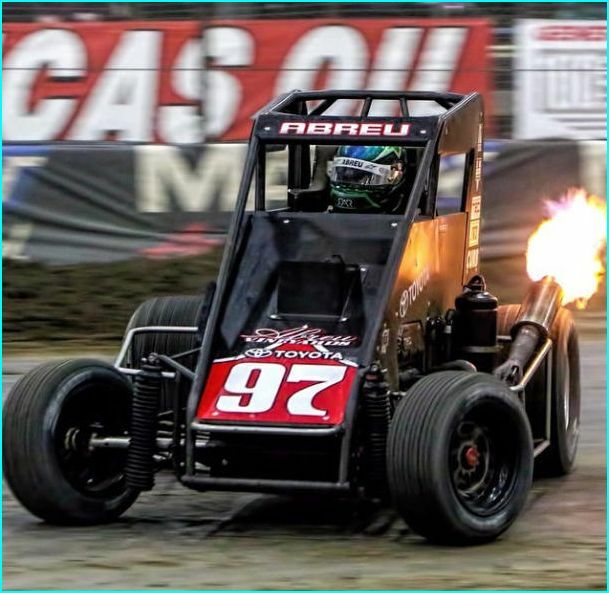 With a day off on Thursday, Abreu will be preparing for Illinois Speedweek Presented By Toyota for the Lucas Oil POWRi National Midget Series. Friday’s action will take place at Jacksonville, Saturday at Macon, and Sunday at Belle-Clair. The Rutherford, CA driver has had a successful 2015 to this point, claiming wins at Stockton, Silver Dollar Speedway, and Thunderbowl, in addition to his Chili Bowl win in Tulsa. Abreu has been behind the wheel of numerous types of cars this season, including midgets, 410 and 360 sprints, super late models, outlaw karts, and the NASCAR K&N Series. Saturday night at Macon will be busy with the two POWRi classes in addition to a Faster Pastor race and four other divisions of racing. Joining the POWRi Midgets and Micros will be the Billingsley Towing Modifieds, B-Mods, Street Stocks, and Hornets.